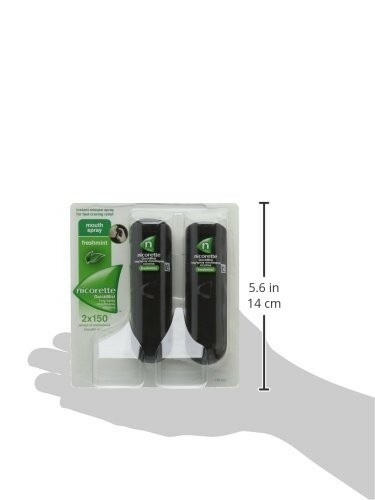 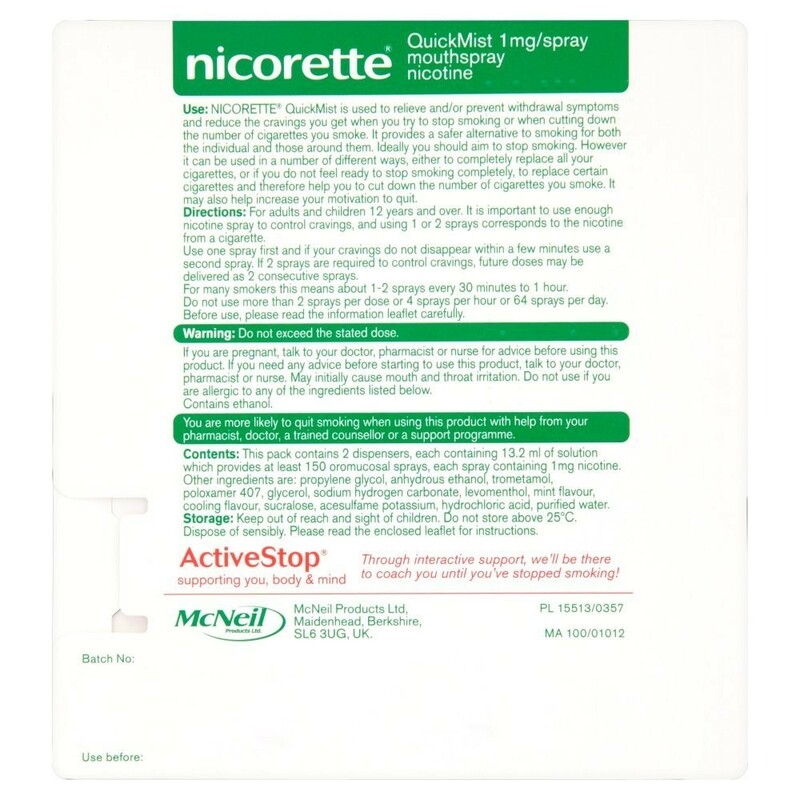 Nicorette QuickMist is used to relieve and/or prevent withdrawal symptoms and reduce the cravings you get when you try to stop smoking or when cutting down the number of cigarettes you smoke. 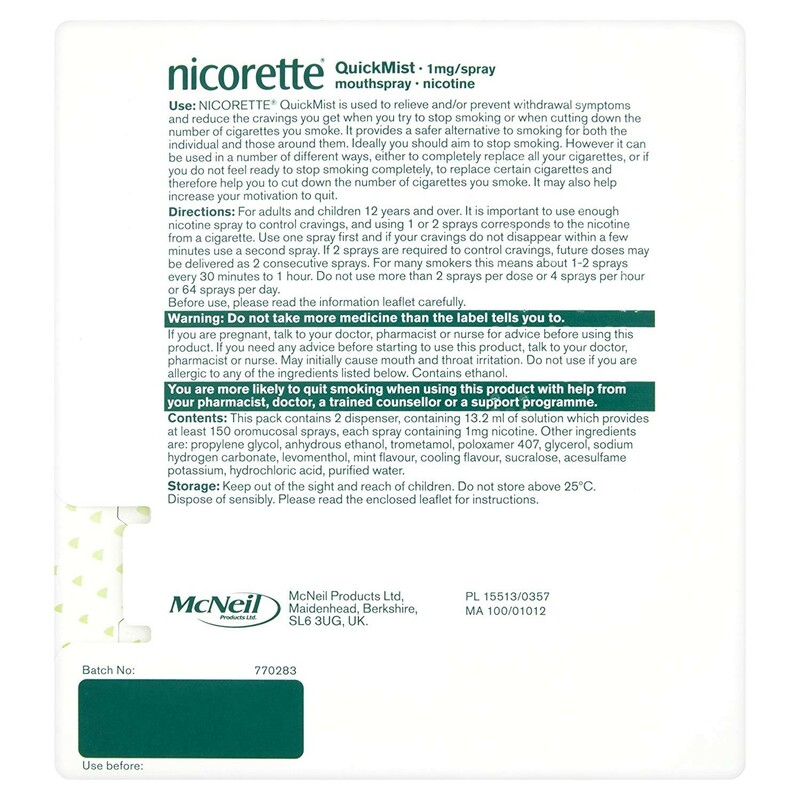 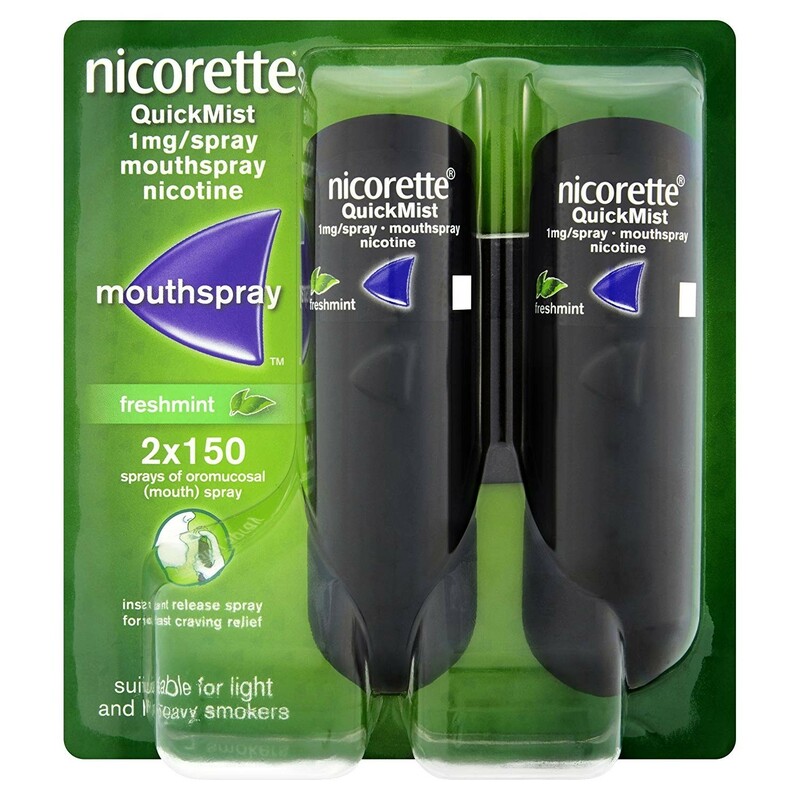 Nicorette QuickMist spray is one of the newest forms of Nicotine replacement therapy that offers an instant release of mouth spray that begins working on Nicotine cravings in only 60 seconds. 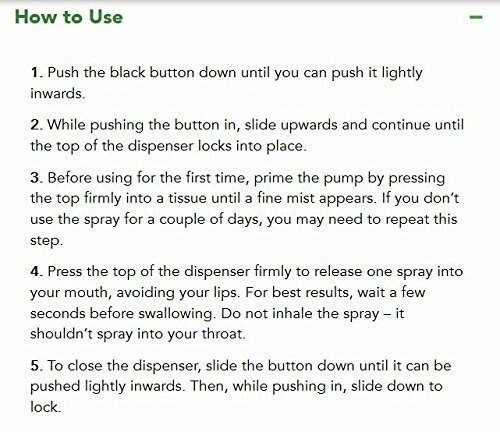 How it works? 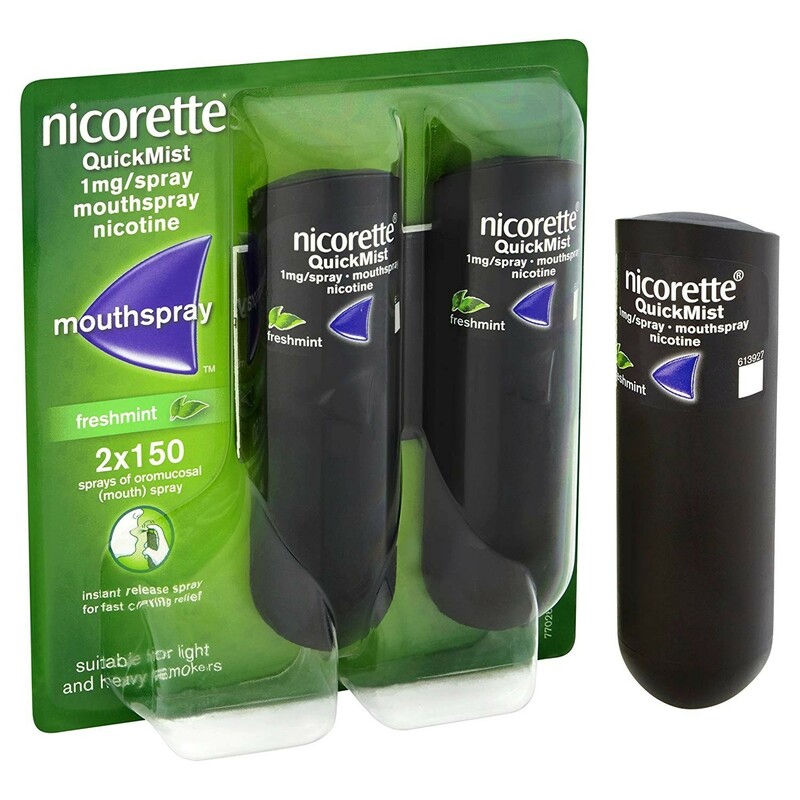 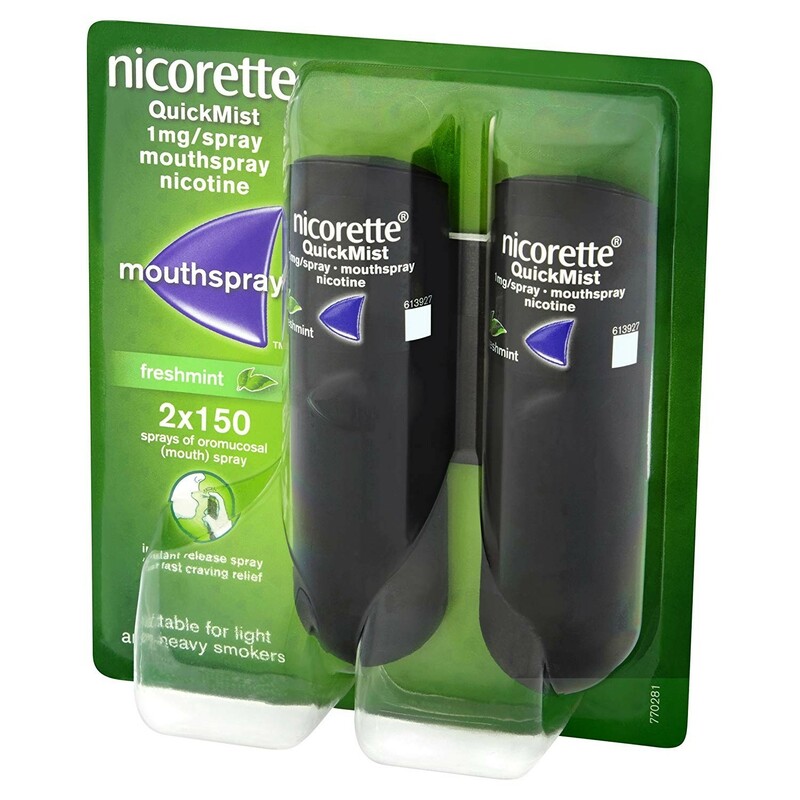 Nicorette QuickMist supplies a fresh tasting mouth spray that you use to administer small doses of therapeutic nicotine for support when quitting smoking. 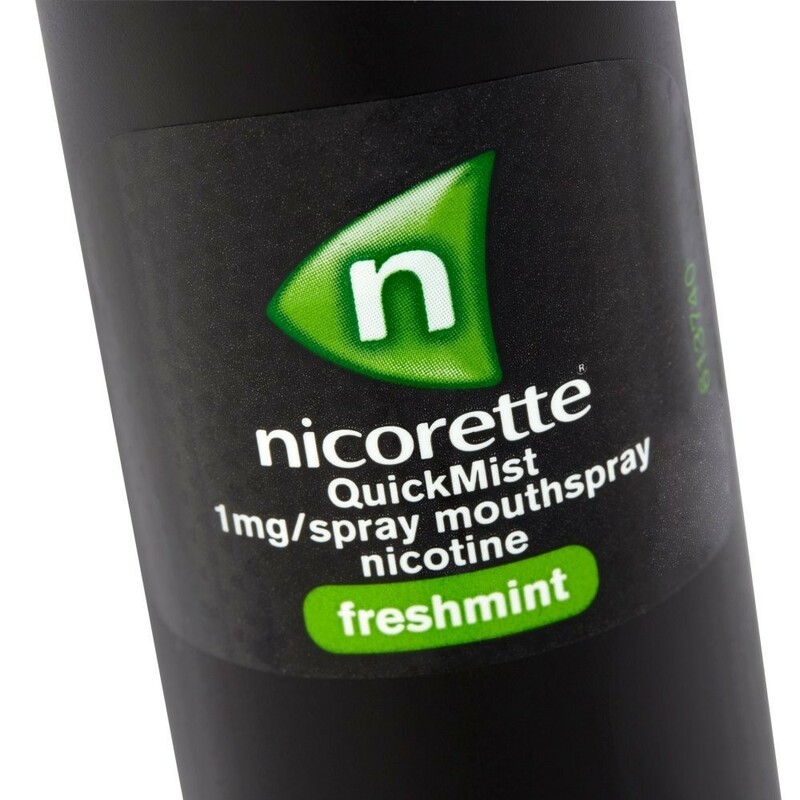 The therapeutic nicotine from the spray is rapidly absorbed through the lining of the mouth, and can get to work on nicotine cravings in 60 seconds to give you fast relief from your withdrawal symptoms.